Just as the world is starting to come to terms with the concept of self-driving cars, big corporations and smaller startups alike are already turning their eyes to the skies. The autonomous flight industry is expanding rapidly, and it has already made quite a bit of progress - Boeing's latest accomplishment is a great example of that. 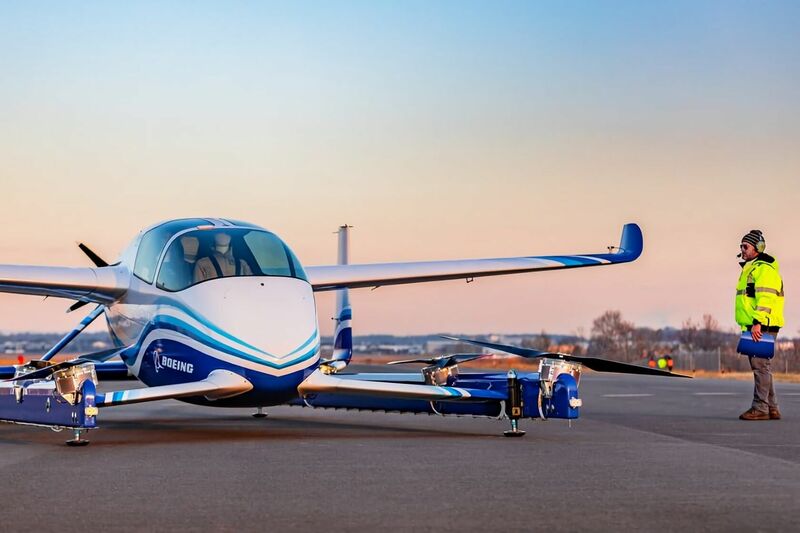 One of the flight company's subsidiaries, Aurora Flight Sciences, has revealed that its latest air vehicle prototype (it isn't quite a plane) has completed its first-ever autonomous test flight without a hitch. Well, "flight" might not be the most accurate way to describe what took place. The prototype (which is powered entirely by electricity) took off, hovered in place, and landed on the ground again. However, in this case, even that short hop represents worthwhile progress. On paper, Boeing has created a fully-autonomous passenger aircraft that's capable of true vertical take off and landing (VTOL). That's something few of its competitors have managed to pull off. At any rate, this test is one small piece of a much bigger picture. Through Aurora, Boeing partnered with Uber back in 2017, in the hopes that the companies could work together to bring urban air taxis to the masses by 2023. Aurora's prototype is apparently capable of traveling up to 50 miles on a single charge, which should be plenty of range for an urban aircraft. Of course, only time will tell whether or not Boeing and Aurora (or their competitors) can ever make the concept of a flying taxi into a practical mode of transport, but for now, the future looks bright.